There is a bad news for iPod users. 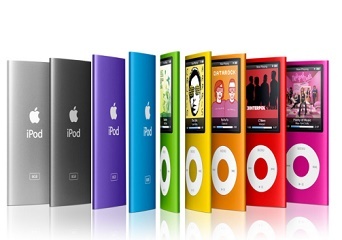 Apple has removed many songs of its rivals between 2007 and 2009 from iPods. The reason for deleting rival music is supposed to be intentional but Apple has different reasons to share. According to them, the sole reason behind this step is only security. They said that many consumer raised objection against Apple, that the company is using its power to reduce competition in the music downloads. Apple also stated that the songs and musics of many rivals opened a way for security breach which can take its system security at stake. That is what has been claimed by Apple’s security director Augustin Farrugia. When a user downloads music from a rival service, and then if he/she tries to synchronize the music with iTunes service of iPod, then an error message will pop. The device will prompt its users to restore the settings which implies the music must be removed.